Apple WWDC 2014 is being conducted by Apple from June 2-6 in San Francisco, where till now many of the recent updates has exceeded my expectations. They have made many changes in the core and opened several new API which all will be very helpful to developers. Here are some salient features we will having in Mac, iOS devices and there are still many more things that are going to be launched till June 6. 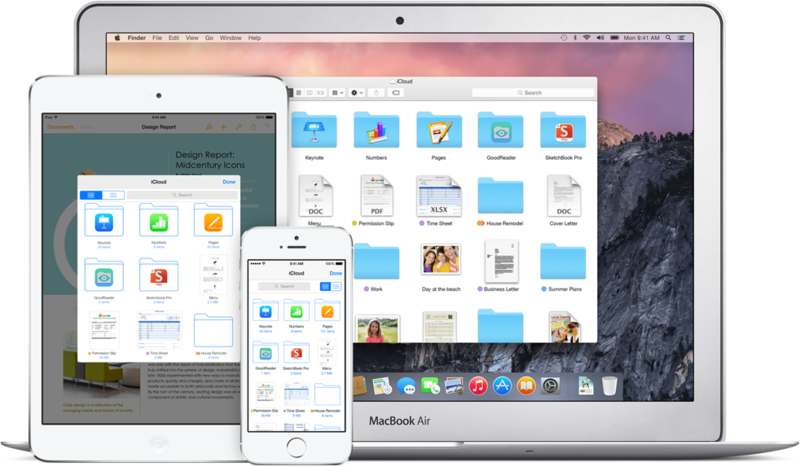 1. iCloud Drive – an app like Dropbox and Google drive, that enables sharing on multiple devices on the cloud. Its price has dropped significantly and its now $3.99 for 200 GB of storage only. 2. Family sharing – Up to six members in a family will be able to share your purchases till they use the same credit card on file, kids have an option to buy apps with a request feature sent to parent before buying. 3. Yosemite with Bing – The new Mac OS X operating system will arrive with Bing search inside the new Spotlight version. 4. Duckduckgo – In Yosemite, which is due to release in this fall, will have a safer and private search from the new search engine DuckDuckGo. 5. Battery Usage per App – With this feature you will be able to track which app is using too much battery, and you can easily shut it off from doing so. 6. WiFi calling – T-mobile has confirmed that more than 90 percent of their smartphones will feature Wi-Fi calling, and it will get enabled in iOS8. Means you can call anybody in you WiFi Network range, without paying anything and sending messages too. 7. HealthBook – The app called Health will contain many useful data about you; like heart rate, calories burned, blood sugar, cholesterol and can be easily accessed via graphs and organised patterns. 8. Sad news for users of iPhone 4 and below – iOS 8 will be available for users having iPhone 4S and above. 9. New Siri and Shazam – Many new improvements have gone into SIRI, which will remain in always on mode and Shazam a popular song identifying app will also be integrated with the core. 10. Messages app with audio and video – Now you can send audio and video messages and share your location with the messages app. It also has a group messaging a competition to Facebook messenger and Whatsapp. 11. Apple’s 850-page Swift iBook is out – here’s how the language differs from C and Objective-C.
12. Handoff is a new feature of OS X that helps you share work across devices. You can start an email on your phone and your Mac will prompt you to finish it there, for example. Or you can start a document in iWork and your iPad will suggest you continue your work there once you move away from your laptop. 13. Predictive keyboard – The new iOS 8 will have an predictive keyboard, that means it will learn your typing habbits and now you can also use third party keyboards. 14. Credit card scanning – Safari in iOS 8 uses camera to scan and enter credit card info. And there lots more that can be added to this list.